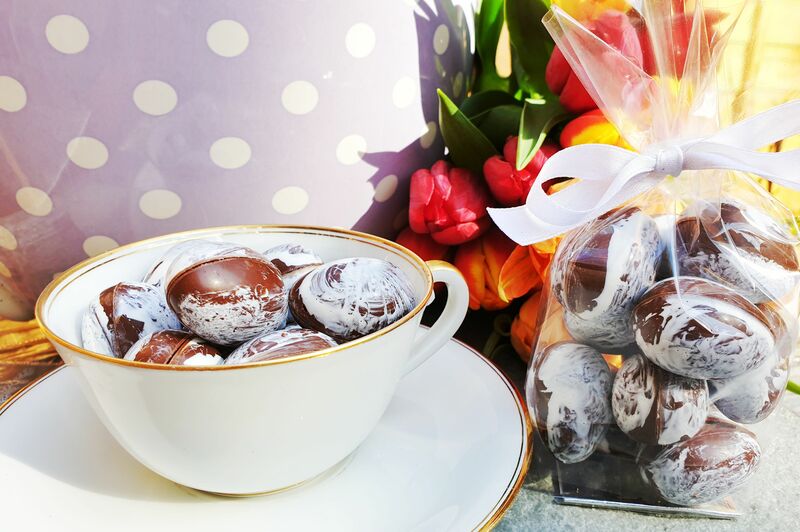 18cm tall Easter eggs are encrusted with milk and dark chocolate tea and coffee caramel cups..
18cm tall Easter eggs are encrusted with milk chocolate passion fruit caramel chocolate domes. 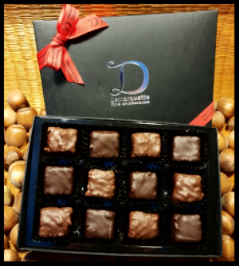 We invite you to experience our world of luxury chocolate. 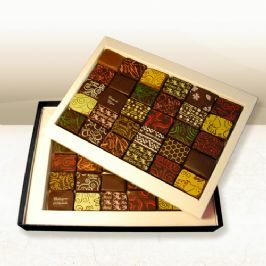 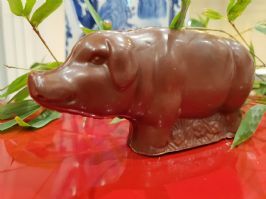 Discover unique cocoas, original chocolate gifts, quintessentially British chocolate collections and rare chocolate varieties from around the world. 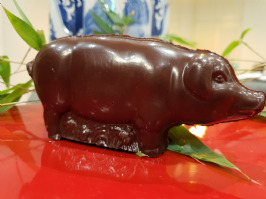 Master Chocolatier Marc Demarquette and his team take pride in their artisan chocolate creations, which are made in London in our Chocolate kitchens. 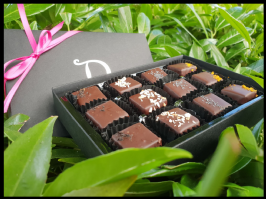 We pride ourselves on using only the very best chocolate and freshest ingredients from local suppliers and entirely ethical sources. 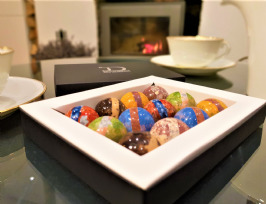 With our unique style of bridging tradition and modern contemporary expectations to offer you the most exquisite of chocolate experiences, it is no wonder that we have won over 50 Gold Awards in less than 5 years and have been named a "British Luxury Brand of Tomorrow".